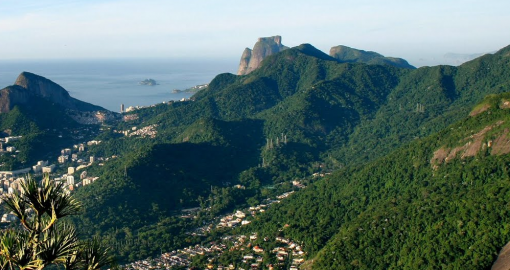 The mountainous Tijuca National Park is claimed to be largest urban rainforest in the world. It is home to 30 waterfalls, hundreds of plants and trees and hundreds of species of plants and wildlife, many threatened by extinction. Imagine that in colonial times (17th century) the forest was all cut down for coffee and sugar plantations. However in the second half of the 19th century over 100,000 trees were replanted and slowly the forest was reborn! So the forest you see today is 100% handplanted. 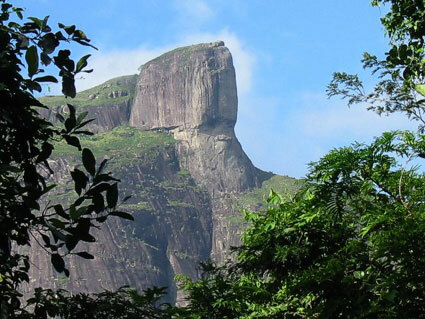 The highest point of the forest is Tijuca Peak that reaches 3,300 feet (1022 meters). The views from the top are fantastic and it is possible to reach the peak in a day hike, even without the use of a guide. Those with an adventurous spirit can climb to the peak of Pedra Bonita and join hang gliders in a heartstopping flight back to the bottom. The park has several hiking trails with different lengths and levels. 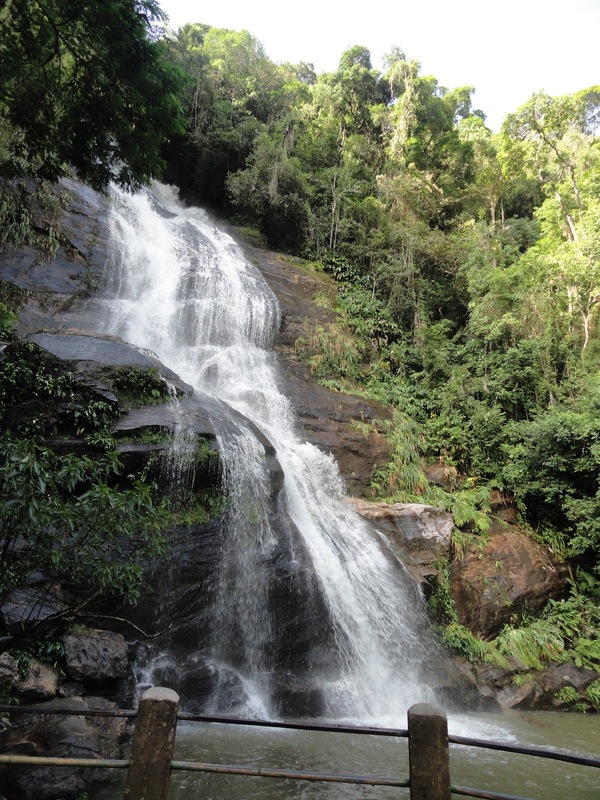 Most of the trails and all the trails to the different peaks in Tijuca National Park start from the Praça Afonso Ribeira. The main entrance of the Tijuca park is located in the “Alta da Boa Vista” Bairro, which is about a 45 minutes drive from the zona sul of the city. There is a bus #233 from Saens Pena subway station to Alta Boa Vista but the easiest way is to take a taxi. Once inside the park, follow the road until you get to the “Praça Afonso Viseu”. This is the central point from where the hiking to the various peaks in the park are initiated. There are also many tour operators arranging jeep tours etc. to the park. They will pick you up from the hotel and take care of you. You can check some examples from below links, costs are around 100 USD. The park is open every day from 8 a.m. until 5 p.m. Admission is free. When you think about Miami, you’re probably thinking about the Lummus Park, as the area has been featured in hundred TV shows, commercials, and music videos. Prainha Beach is a rather small isolated beach southewest from Rio. It is a surprisingly secluded tropical getaway still within the city's limits. Especially during the weekdays you can enjoy the calm athmosphere with no crowds. Grumari is a great retreat from the crowds of Ipanema and Copacabana. The other of the two world famous beaches in Rio. Ipanema has however slightly cleaner sands than Copacabana. This world famous beach in Rio de Janeiro is 4km long with a flurry of activity always stretching along its length.